January 2015 – Tools for strategic and strong-minded thinkers! “ What is a brilliant strategy? an executive asked of me. Thinking quickly, I used the gemstone analogy and said a brilliant strategy is recognized by contrasting its results with other strategies. It noticeably shines and stands out. I followed that brief definition with an example. I mentioned the Oakland A’s professional baseball team of the early 2000s. It was an organization with limited resources that was able to consistently get better results than its rivals; its brilliance was manifested in the contrast with conventional baseball strategy. The book Moneyball explains this well. Afterwards, I wondered to myself: The gemstone-to-strategy analogy seems reasonable. I wonder if it is a strong or weak analogy? Did I get the details right? So, I did what all of us do. I went to Google and typed in “What makes a diamond brilliant?” I learned that brightness and contrast are two basic factors that drive the brilliance of a diamond. Brightness in a diamond refers to the light projected through the crown of the diamond. 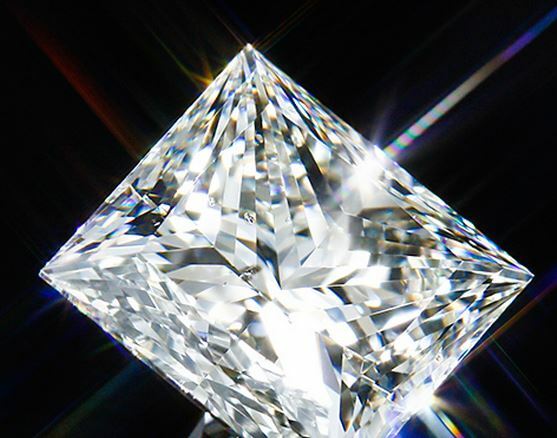 It is achieved by cutting the diamond so light entering from the sides is reflected upward. A diamond cutter sets the angles in the stone to maximize the light moving through the crown. That’s a straightforward task, but it entails tradeoffs of weight (carats) which affects the marketability of the diamond. In other words, you could have a diamond that is cut to maximize the objective measure of weight (“Oh look at this 1-carat diamond!) or to a more subjective parameter (“Wow, that diamond really sparkles!”). Contrast in a diamond has to do with the placement of bright facets next to darker facets. We make something dull seem brighter by placing it next to something dark. Consider the contrast of a chess board. I also learned that I hadn’t asked the right question, the idea of “sparkle” is also relevant. It’s not enough for a diamond to look good in a display case or in a jewelry store, it needs to dazzle out in the real world. As the diamond moves around, it catches light on all its facets; some reflect white, others reflect colors. The interactions are the phenomena that cause sparkle. The descriptors of fire and scintillation help us to understand sparkle. Fire in a diamond refers to the prism effect: splitting a beam of light into flashes of spectral colors. Diamonds are cut from raw materials; they are deliberately designed. The diamond cutter must consider a number of variables when cutting a diamond. They include the original shape of the rough stone, location of internal flaws, the preservation of carat weight, and popularity of certain shapes among consumers. Likewise, strategy is a design that is fashioned from resources and insights. The analogy holds up: A raw stone is analogous to resources, the cut is the action, and the competitive element is the fact that a customer can make a choice. Brightness in strategy is the way that the firm leverages resources to achieve focus. The Moneyball strategy practiced by the Oakland A’s baseball team was focused: the team would acquire players who were undervalued by the market for their abilities to get on base, and trade or sell those players who were overvalued. Contrast in strategy is making decisions on what you are not going to do. The A’s were willing to accept mediocre (or worse) defensive capabilities from a player to gain the advantages of the player’s bat. The book devotes an entire chapter to highlight the experience of Scott Hatteberg – an able hitter – as the team placed him in the unfamiliar position of first base. In order to maximize offense, the team was willing to accept his weak defense. Now, what about sparkle? These qualities are more elusive and subjective. It seems that large stones have more opportunity to design for sparkle, so the idea of sparkle might be something that is true for grander strategy. Fire in strategy is increased by having more facets to the strategy. The movie Moneyball didn’t show the fire that the book described. The movie suggested that a wunderkid (Jonah Hill’s character) with a computer was whispering into Billy Beane’s (played by Brad Pitt) ear. That depiction was more Hollywood than the actual story, where the key facets were that the ballclub’s owners gave its General Managers more power than other clubs, the experiences and skills of GM Billy Beane, and the rise of fantasy baseball leagues (which create a cadre of unconventional thinkers who could communicate through the internet). Scintillation in strategy is a dynamic quality. A scintillating strategy is one that is practiced in small and coordinated ways across the entire organization. For Oakland, there were a number of other important behind-the-scenes people who made a significant different. As an example, Scott Hatteberg was extremely uncomfortable playing first base, so the coach Ron Washington encouraged him, allowing him to gain confidence. Scintillation, then, is something akin to what many people call strategy execution: the aligned actions of people in middle management to support (or at least cope with) the discomfort and impositions of the strategy. My initial remark that a brilliant strategy is one that has contrast was correct. However, I’ve since learned that I missed the ideas of brightness, fire, and scintillation. I’m looking for more examples of brilliant strategy. Also, what would you change about this analogy?